"You have a special bond with animals. Your pets on Earth and in Heaven are watched over by angels." Animals respond to your kind and gentle ways. You have a special understanding of them. You can relate to the innocence and trusting nature of animals, and you feel a call to help them. I am one of your guardian angels, and I am here to tell you of the beautiful ripple effect that your relationship with animals has created. 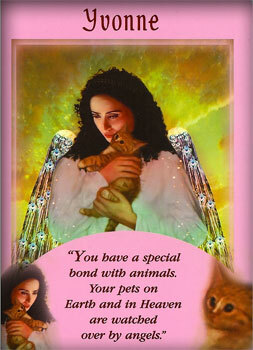 Your love for animals has also forged a deep bond and appreciation with you and the nature angels. All of the animals whom you have ever loved continue to be with you like guardian angels. Your love for them keeps these animals at your side forever. Your pets in Heaven are happy, spiritually healthy, and playful and affectionate. Your pets on Earth are surrounded by angels who bestow miracles upon you and them. In many ways, the animals act as angels for you and your loved ones. You are someone who truly appreciates the angelic qualities of animals. 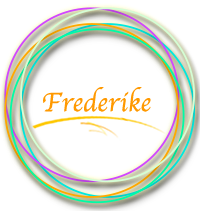 You are able to communicate wordlessly with these wondrous creatures, and your special bond with the animal kingdom is opening new doors for you right now.